Candice Anderson says she will accept a payout from GM, but she doesn't think the score is settled. There's the 10 years she spent racked with guilt, thinking she was solely responsible for the 2004 GM-car crash that killed her boyfriend. The injuries she sustained: her liver lacerated, nearly all of her ribs broken. There's still the felony on her record, having pleaded guilty to criminal negligent homicide in 2007. 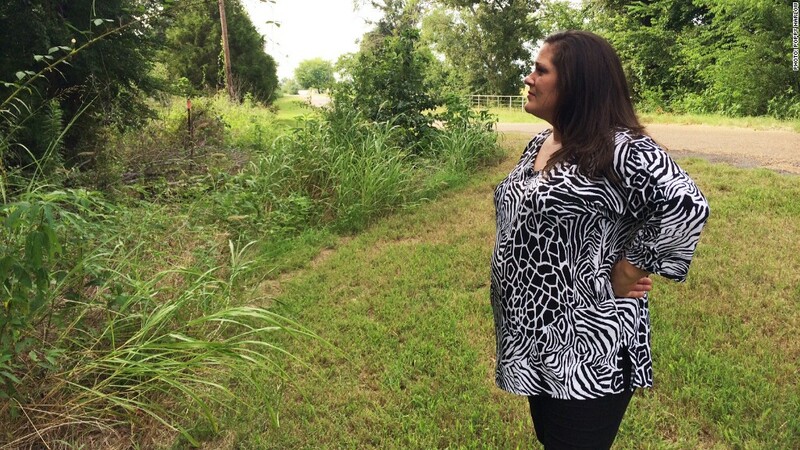 "Even before the prosecution, I was persecuted in my community," she said. "I've been told a couple times point blank to my face that I was a murderer. That I killed him." It was only this year that she learned the accident may not have been her fault. In-depth: 10 years of guilt over the GM crash that killed her boyfriend. It may not have been her fault. A toxicology report following the accident shows Anderson had 0.12 milligrams of the generic version of Xanax in her system. According to the police report, Anderson's "intoxication resulted in the accident, which resulted in the death of Gene Mikale Erickson." Anderson was not prescribed the drug, but insists she was not impaired and only took 1 pill the night before the crash. Neither Candice nor Michael were wearing a seat belt at the time of the accident. But this year, the National Highway Traffic Safety Administration acknowledged that Erickson's death is one of those caused by GM's defective ignition switch. This week, Anderson said she would accept a payout from GM's victim compensation fund. Her 2004 Saturn Ion was one of millions of GM cars recalled for a defective ignition switch -- a defect that proved deadly for at least 24 people including Anderson's first love, Mikale Erickson. Anderson won't discuss the amount but says, "I'm not satisfied, but I'm content. You can't put a dollar amount on 10 years of your life, and a life... Mikale's life." GM has admitted that some of its employees knew of the defect a decade before recalling 2.6 million cars earlier this year, but did not fix it. GM has estimated it will pay out between $400 and $600 million to victims and their families. GM has offered at least $1 million to the families of those who died as a result of a defect in GM cars. Payouts to those with less serious injuries will be paid depending on the number of nights they spent at the hospital. Someone who spent one night in the hospital would receive $20,000, while someone hospitalized 32 nights or more would be paid $500,000. So why did Anderson say she would settle? "I am ready for it to be over. I just want to move on. I don't have the endurance for a lawsuit and a long-drawn process." The financial settlement will be distributed between Candice, Mikale's mother Rhonda Erickson and Mikael's two teenage daughters. For Rhonda Erickson, deciding whether to accept GM's money or continue with her lawsuit against the automaker has been gut-wrenching. "Will the deaths and suffering of so many have just been forgotten now? What justice is done if I agree to this?" Erickson told CNNMoney. Even after this settlement, Candice Anderson has to check the box on job applications asking if she has ever been convicted of a felony. Only a pardon from the state of Texas can change that. "I think the pardon is the biggest thing because it's going to determine where my life goes from here," Candice Anderson said. "I'm hoping Mary Barra will join in to help... I think her standing firm and supporting me would be a big eye opener for the state." GM CEO Mary Barra sat down for an interview with CNNMoney this week. 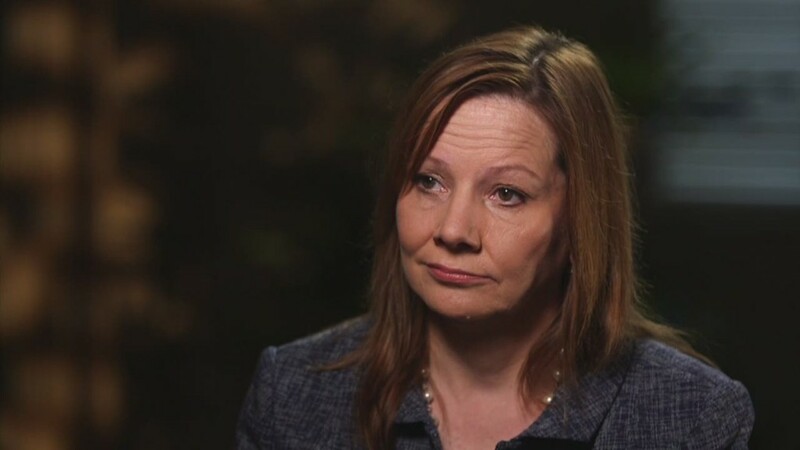 Asked if Anderson should be pardoned, GM CEO Mary Barra said, "that is something for the courts to decide...but I don't think it is appropriate for General Motors as a company to step in." Leslie Poynter Dixon, the former District Attorney who prosecuted Anderson, now wants to see her pardoned. "After learning of this information, it is my opinion that no action or omission of Ms. Anderson was the cause of the accident that led to her criminal charges...I feel it is important that, at this point, we come together to do whatever we can to alleviate any further damage and pain that this horrific tragedy caused her," she wrote in a letter to the Texas Board of Pardons and Paroles earlier this year. As for Candice Anderson, she's trying to move forward with her life and begin a career as a nurse. But much of that rests on whether she remains a felon. "There's no win-win in this deal", said Rhonda Erickson.